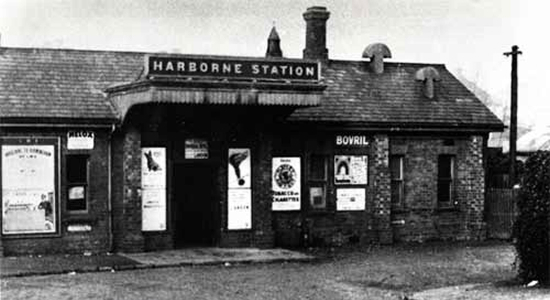 Harborne Station was the terminus of the Harborne Railway and opened to passengers in August 1874. An interesting point regarding the station and railway was that whilst the Harborne Railway was the operating company for the line, the LNWR worked the line by providing rolling stock, locos, maintenance and staff. The postcard above shows the rather grim exterior of Harborne Station with closure imminent in 1934. When the station closed to passengers the building above was used as a workshop and wood store for the nearby Chad Valley toy factory. 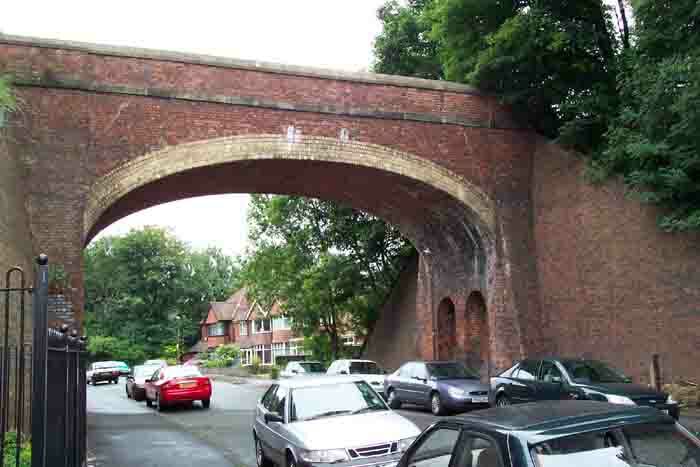 One of the final relics to be removed at the site was an old iron footbridge which spanned the station between Station Road and Park Hill Road - interestingly, the local residents protested against its demolition and a petition was raised, such was the footbridge's use as a convenient short-cut! However, this was to no avail and the bridge was removed in 1968. 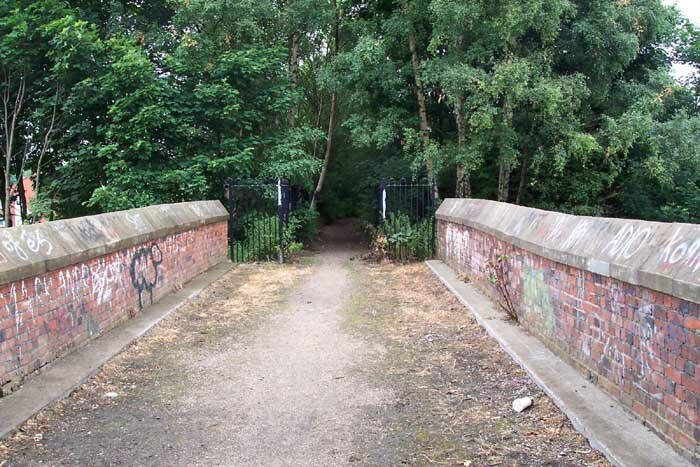 Above-left we see a present-day photograph showing the deck of the Park Hill Road bridge which once carried the single track line: just through the gates and behind the bushes at the end of the bridge is a development of flats that now occupy the site of the old station. Unfortunately, there is no trace of the station other than 'Station Road' from which the old station building was accessed and bordered one side of the old railway. Above-right we see the bridge from Park Hill Road itself witht eh station site to the left.